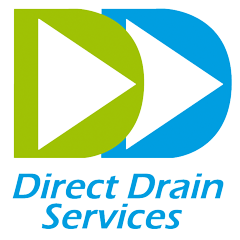 Drains Ltd T/A Direct Drain Services is a “data controller”. This means that we are responsible for determining the purpose and means of processing personal data relating to you. We consider that the basis for which we will process the data contained in the list above (see section above – details of information we will hold about you) is to enable us to consider whether we may wish to prepare for entering into a contract or agreement with you and to enable us to comply with our legal obligations. Occasionally, we may process personal information about you to pursue legitimate interests of our own or those of third parties, provided there is no good reason to protect your interests and your fundamental rights do not override those interests. We do not anticipate that we will process information about criminal convictions. HR department, those in the department where the vacancy is who are responsible for screening your application and interviewing you, the IT department. We anticipate that we will retain your data as part of the recruitment process for no longer than is necessary for the purpose for which it was collected. We will keep your data for one month following the end of the recruitment process. If your application is not successful and we have not sought consent or you have not provided consent upon our request to keep your data for the purpose of future suitable job vacancies, we will keep your data for one month once the recruitment exercise ends. Should you have any questions regarding this statement, please contact Siouxsie Everitt at siouxsie.everitt@directdrainservices.co.uk, tel: 01992 765 444.